Monday thru Friday, 8AM until 5PM. Come see us! Stop by our shop with your trailer, or Call 250-800-2706 and schedule your service appointment today. Leave it to us. Our experienced and professionally certified staff will assess the trailer, inform you of the necessary repair steps, and get to work. After our team is done with service repairs, we’ll notify you to come pick up your brand new, beautiful trailer. It’s really as easy as 3 steps. We provide full-service, in-house repair and service support with an equipped, optimized garage that’s in use all hours of the day. We’re equipped to work with any kind of trailer, no matter their repair requirements. We can work with Hauling, Cargo, Horse, Flat Decks, Recreational, Boat, and Specialty Hauling. We also provide in-hour custom welding projects. Want lights added to your trailer? No problem! We can install ad lights or electrical hookups for any vehicle not equipped with towing capabilities. We provide upgrades, fixes, and new installs like wiring, roof venting, ladder racks, and more. We’re ready to install bearings on the trailer, including repacking bearings, as well as installing new bearings. We work with bearing seals, bearing seal races replacement, and brand new bearings. If you have a vehicle hauler, we can add a hitch. If your trailer has an electric brake, we can add an electric brake controller. Through our team’s combined experience, certification, and passion for trailers today, we’re able to provide clients with affordable, reliable, transparent, and efficient trailer support, repair, and sales services every single day. 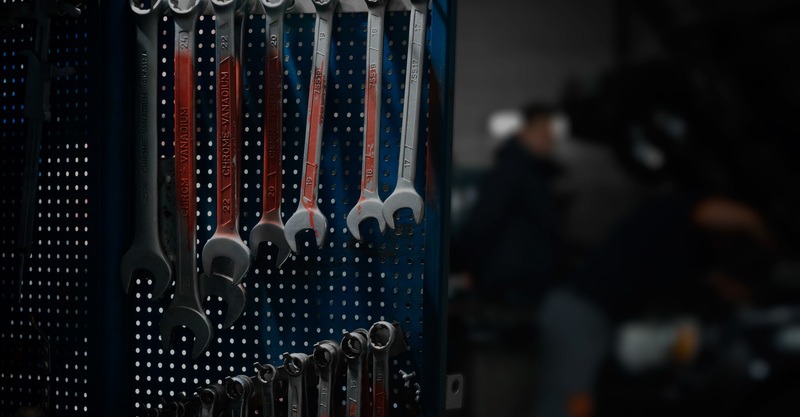 We’re a total solution, providing a comprehensive service shop that works with every trailer make and model.